Halloween is a bit of a boring holiday for me, I'm not much of a party person and since I've passed the age where trick-or-treating is cute, I tend to spend my night in watching bad horror movies and pausing to pass out candy. However! 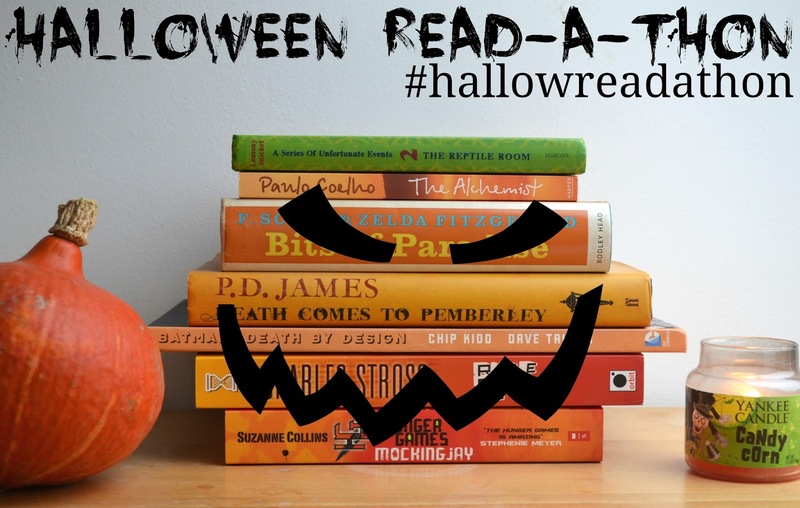 This year I thought I'd host a little Halloween Read-A-Thon or my #hallowreadathon as I'm calling it! Basically from Friday (Halloween) to Saturday (All Saints Day) I'm going to be reading. A lot. And I'd love it if you joined me. All you have to do is read! And I'll be posting some fun questions and chats on my twitter with the hashtag #hallowreadathon. If you want to join then just show up with a book, and if you leave your twitter name in the comments I'll be sure to follow you so I can see your updates!